A museum dedicated to the painter Étienne Terrus in Elne, France. Has just found out that nearly 60% of there paintings are fake. An art expert Eric Forcada raised the alarm when he noticed that some of the buildings in the paintings were built after the artist’s death in 1922 . The police have yet catch the culprits. 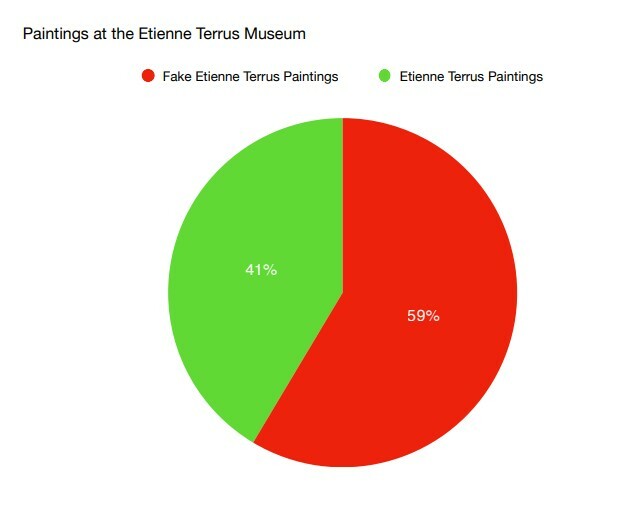 This Pie chart illustrates just how bad the situation must be for the musuem. Michelangelo is said to have created a lot of fakes. 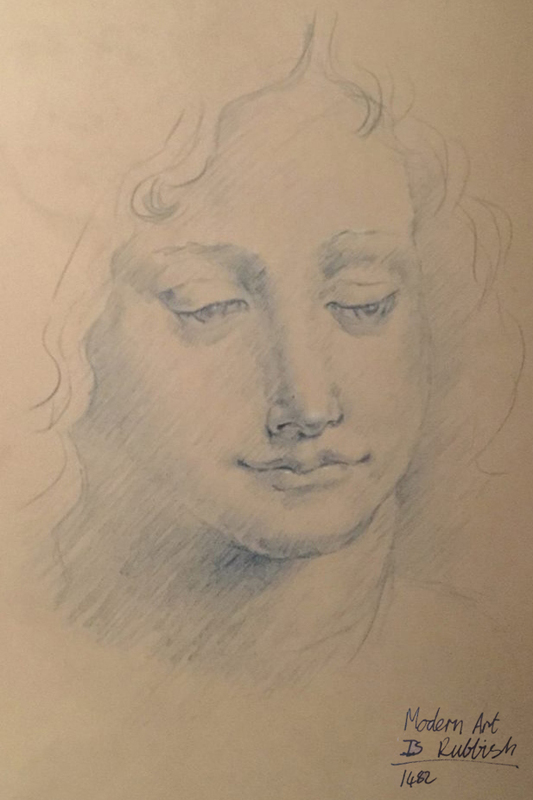 In Renaissance times, it was very good to be able to create them, If you could mimic Roman sculpture, this was valued. He previously had had patrons the Medicis, but they were exiled from Florence. Michelangelo was skilled at using smoke to age his paintings, so they would look as old as the original. In 1496, when he was only 21, Michelangelo copied the marble sculpture Sleeping Eros. Then he and his dealer buried it, in order to age it. Michelangelo sold the fake for a large sum of money to Cardinal Raffaele Riario. The Cardinal eventually found out the statue was a fake but he was so impressed with the work, he commissioned another piece. moved to Paris in 1926. In the 20s and 30s, he made a living by mostly committing check fraud, counterfeiting documents and pretending he was from the aristocracy. He claimed to have been imprisoned in a Nazi concentration camp during world war 2. After the war, Emyr went back to Paris. He tried to sell his own art but was not successful. 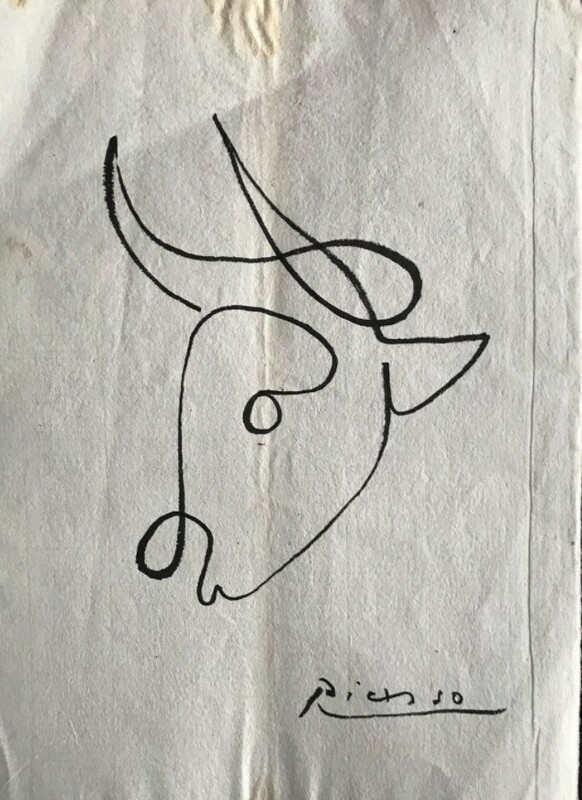 Until a British woman, Lady Malcolm Campbell saw a work of his and mistook it for a Picasso original and purchased it. Emyr then went on to sell his forged drawings to galleries around Europe. He used a story about being a Hungarian aristocrat, claiming the drawings were part of a family collection, sometimes he would even claim to have met the artists and got the art directly from them. In the mid 1960’s Emyr became tired of fakery and his work is suffered, with the FBI and Interpol interested in him he left the US and moved to Ibiza. A Texas Oil businessman brought pressure on the authorities to arrest Legros, as he found out that over 50 painting Legros had sold to him were fakes. Emry was now living at a friends house in Ibiza. In the mid 70s he learns he is to be extradited to France or Spain so he took an overdose of sleeping pills, and died. Below is a Trailer for “F is for fake” the excellent documentary featuring Emyr. 1998 Kenneth Walton found a bright abstract at a garage sale and bought it for $8. He then picked up a brush and signed it rd52. 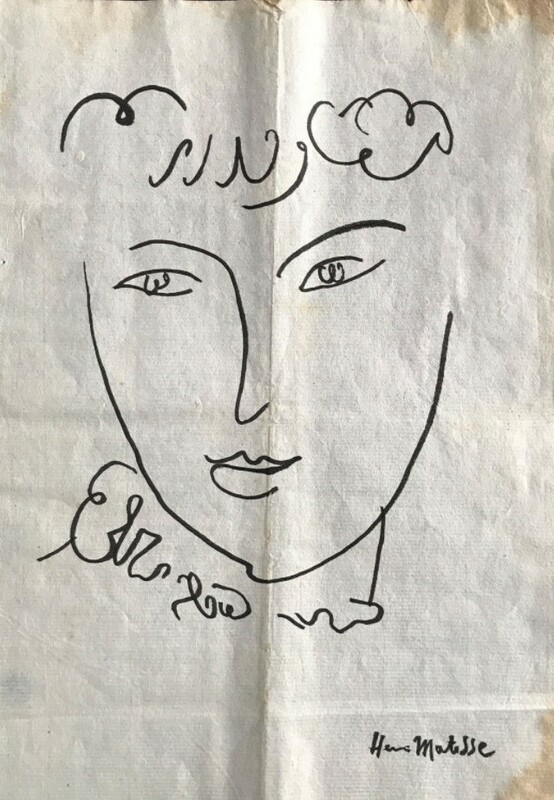 This was the same signature as Richard Diebenkorn a famous American artist. Along with partners Kenneth Fetterman and Scott Beach they used shill bidding to bump up the price of the painting by posing as fictitious bidders, the price of the painting rose to $135,800.00 They made a total of over 50 bids on the painting using names such as thriftstorebob and big-fat-mamba-jambas, they also used names like ”Giacometti” and ”Still” to give the impression that ”a family member of the famous artists were bidding in the auctions .” Once Ebay found out about this, they cancelled the sale and suspended his accounts, in April 2001 Walton, Fetterman, and Beach were charged, with placing ”shill” bids in 1,100 auctions between October 1998 and May 2000, it was to be the first-ever prosecution for “shill bidding” on the Internet. Walton cooperated with the prosecution, he admitted that had forged Richard Diebenkorns initials onto the painting, he was given a lesser sentence for pleading guilty. In 2004 he was sentenced to nine months probation and was required to pay $74,232 to his victims. Remeber a certificate of authenticity has no value unless it issued by the artwork producer or authorised representative such as Pest Control for Banksy works. Make sure the listings have detailed descriptions and high-quality photos, get in contact with the seller if you have any doubts. 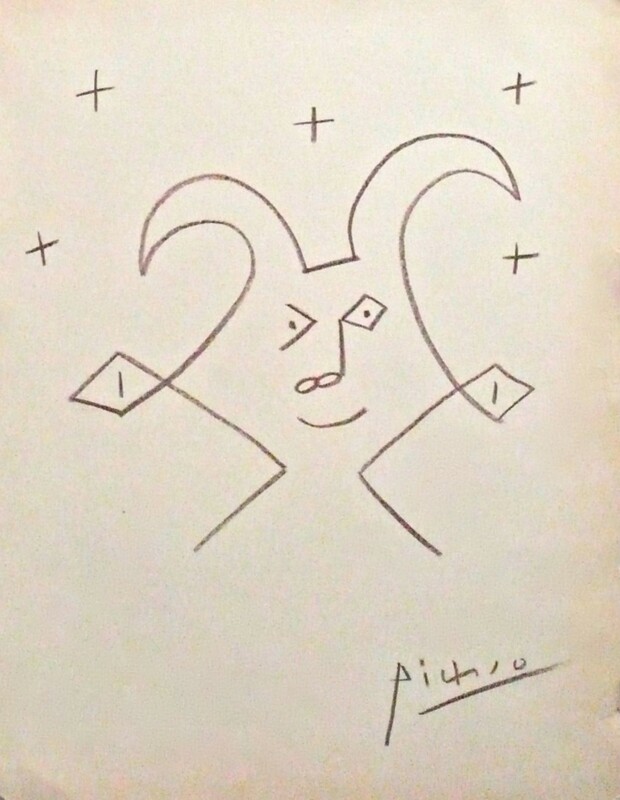 Remember to think why is that “Picasso” so cheap and why is it for sale on Ebay? A work without documentation or provenance is worth very little. Check the small print, is the work “Sold as Seen” and does the seller state “No Returns”? Check the medium, is it Watercolour or is it Felt tip? There are a lot of great uknown artists to buy online. The most important rule is to buy a work first because you like it and you can afford it, only then think about the investment potential.